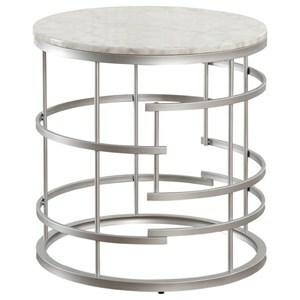 Add wow factor glam to your space with this modern cocktail table. 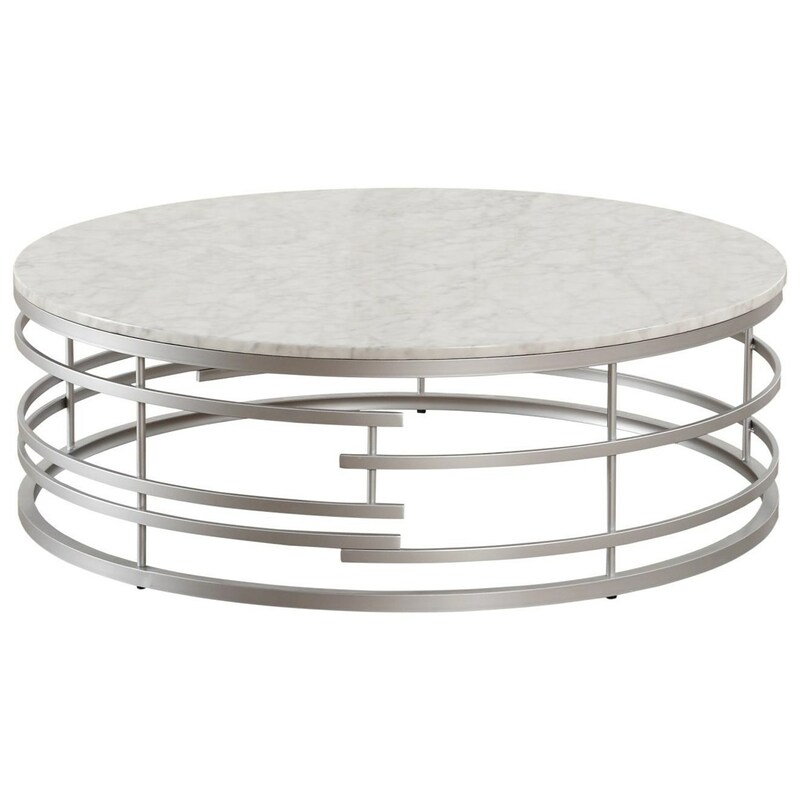 The silver-finished, geometric inspired base will sure be noticed by your guests, while the white faux marble top provides stark contrast and completes the chic look. If you're looking to communicate modern glam, this cocktail table is for you. 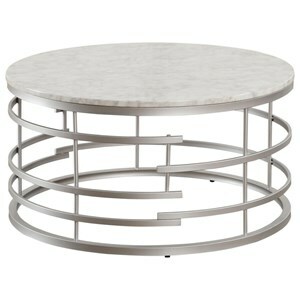 The Brassica Glam Large Round Cocktail Table with Faux Marble Top by Homelegance at Value City Furniture in the New Jersey, NJ, Staten Island, Hoboken area. Product availability may vary. Contact us for the most current availability on this product. Finish & Paint Options Available in metal finish options shown. See store for details. This collection of occasional tables will bring wow factor glam to your space. The geometric inspired base and sophisticated faux marble top make these tables statement pieces. The Brassica collection is a great option if you are looking for Glam furniture in the New Jersey, NJ, Staten Island, Hoboken area. 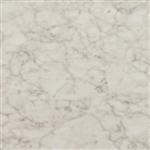 Browse other items in the Brassica collection from Value City Furniture in the New Jersey, NJ, Staten Island, Hoboken area.